No longer the preserve of ‘hippy lentil lovers’ veganism has hit the mainstream. Despite it’s popularity in the world of health, many in the strength and bodybuilding world would never even consider giving up meat, dairy, or eggs. The stereotype of a vegan usually revolves around images of kale loving yoga bunnies, or HCLF (high carb low fat) cyclists and runners. But in fact, more and more professional and amateur lifters are turning to a plant based diet, and seeing results. Take bodybuilder and fitness model Jon Venus, for example: showing the world that bodybuilding as a vegan is not only possible but can change your whole outlook. A vegan diet may not be for everyone, but for those who may suffer from additional issues such as acne, allergies, irritable bowels, lactose intolerance, or are simply looking for a more structured way of following a ‘clean’ bulk or cut it might be the way forward. Deciding to go vegan a few years ago may have been more of a task. But now, with so many more people turning to veganism the transition needn’t be so troublesome. Like any diet, it just takes a little care and consideration. Planning is key for anyone who is wanting to make significant changes to their strength or gains in general. It’s about finding alternatives and different combinations of foods, to ensure that your macros stay on point. If you’re sticking mostly to whole foods, such as oats, rice, potatoes, vegetables, pulses etc. it’s very easy to know exactly what is in your food. A common misconception about veganism is the lack of protein. Of course, just eating vegetables will leave anyone lacking in protein, but there are plenty of plant based sources which can pack as much protein as their meaty alternatives. Protein from pulses, lentils, beans, tofu, and tempeh is absorbed in exactly the same way as those gained from meat or dairy. Surprisingly green vegetables, rice, quinoa, and even oats pack a protein punch: all giving more than enough to aid the muscle building process! However, made from cow milk proteins, it is not suitable for vegans. 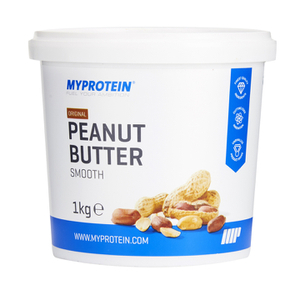 ✓ That’s why we stock alternatives such as Brown Rice Protein, Soy Protein Isolate and our combination Vegan Blend – which are all perfect for post-workout recovery. Another common fear of the vegan diet is it being too high carb to sufficiently facilitate fat loss. Many of the protein sources (such as beans and pulses) also contain high amounts of carbohydrates, however these need not be a problem for those who are training for strength or even cutting. Carbohydrates are essential for muscle building, and like anyone who may be cutting, they can be accounted for in balance with other macro nutrients. With a diet high in leafy green vegetables, and healthy fats such as nuts and avocados beans and pulses can simply become a replacement for the additional carbs needed in a non vegan diet. Take a regular meal for example: sweet potato, chicken, broccoli, and almonds. This can be easily transformed into a vegan meal substituting the sweet potato and chicken for a mixed bean salad, broccoli and not forgetting your portion of healthy fats. ✓ Like every other diet adjustment, veganism just takes a little planning, but can be adapted to suit your macronutrient needs simply. The final ‘fear’ of veganism is missing out on essential nutrients found in meat and dairy. In terms of how your body is absorbing food, a plant based diet is no less ‘bioavailable’ than one that does include animal products. There are however a few supplements which anyone who is thinking of going vegan might want to take. When you’re strength training, this is even more important as you will want your body in optimum condition to hit your goals. – Usually found in red meat, is one vitamin which is usually recommended. 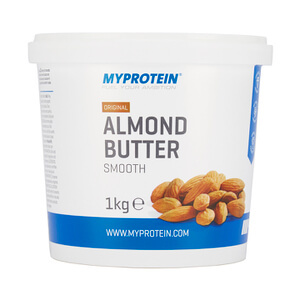 It is essential for muscle strength and energy level retention: both key to anyone strength training or looking to bulk. This can be taken in the form of a simple supplement, or added to food with seasoning such as nutritional yeast. 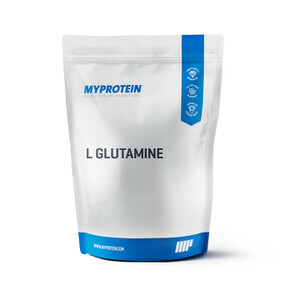 Glutamine is an amino acid that is required by every muscle in the body. It is key to protein and glycogen synthesis – however, it is usually found in meat and fish. Although Vegan’s cannot retrieve this from meat, there are vegan-friendly suppments taking the place of the additional L-glutamine that a vegan strength trainer may be lacking. So there you have it, 3 myths busted. Yes, the vegan yoga bunnies do exist, but slowly, vegan is coming into the muscle building world and will grow in it’s credibility as more and more people reap from its benefits! Check out our Vegan & Vegetarian Recipes! Ever wondered whether all the myths of vegan lifestyles are true? Well, here we have the Top 10 Vegan Myths you need to know! Scroll down to discover the ultimate vegan truth.